Optimierte Sauerstoff-Feuerung in Glasschmelzwannen. Von der Verfahrensseite ist die Regelung des Sauerstoffes mit einer Reinheitzwischen 93 – 98% am aufwendigsten und erfordert die höchsten Anforderungen an die Mess- und Regeltechnik. Material: steel C22.8. Housing adapter mounted. Flange gasket + fixing screws M10. Usage: PMD70. Material: 316L. Housing adapter mounted. Flange gasket + fixing screws M10. Usage: PMD70. Material: steel C22.8. 2 pieces. Housing adapter sep. housing, mounted. Flange gasket + fixing screws M10. Usage: PMD70. Material: 316L. 2 pieces. Housing adapter sep. housing, mounted. Flange gasket + fixing screws M10. Usage: PMD70. Consists of: 2x valve spindle R1/4 316L. 2x valve bush R1/4 316L. Verwendung: Deltabar S.
Process gasket. Usage: FMD76, PMD70. O-ring 48.9x2.62 FFKM 70 KALREZ,1 pcs. Process gasket FKM Viton. Cleaned from oil+grease. Usage: FMD76, PMD70. O-ring 48.9x2.62 FFKM 75 CHEMRAZ,1 pc. Process gasket. Usage: PMD70, FMD76. Flange gasket. Usage: FMD76, PMD70. 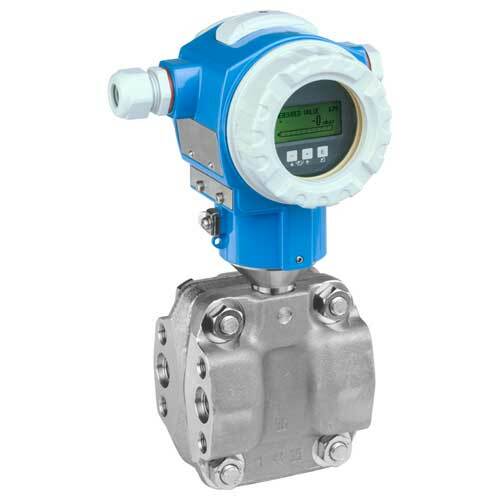 Differential pressure transmitter with metal sensor for continuous measurement of pressure differences in liquids, vapors, gases and dusts. Used in the environmental and the process industries.